A wood pellet Air Stove can be used to heat a single room of almost any size and can also distribute heat to adjoining rooms quite effectively by means of its built-in fan. The fan creates ciculation of air and leaving doors open will allow this warm air to distribute throughout the house. 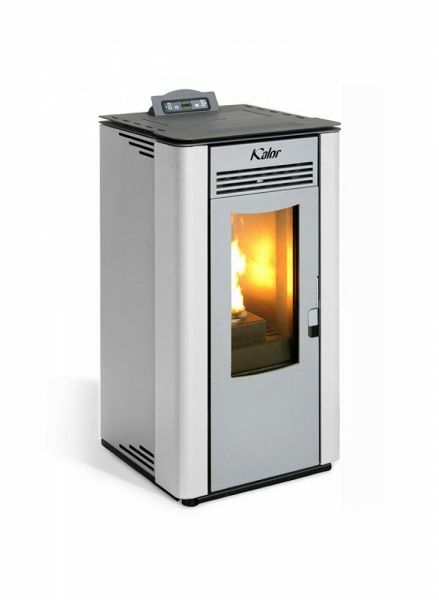 Rapidly increasing in popularity, wood pellet stoves are quickly taking the place of wood stoves and multi-fuel stove. They are very effective heating appliances are ideal for home owners who need something convenient, efficient and easy to use. 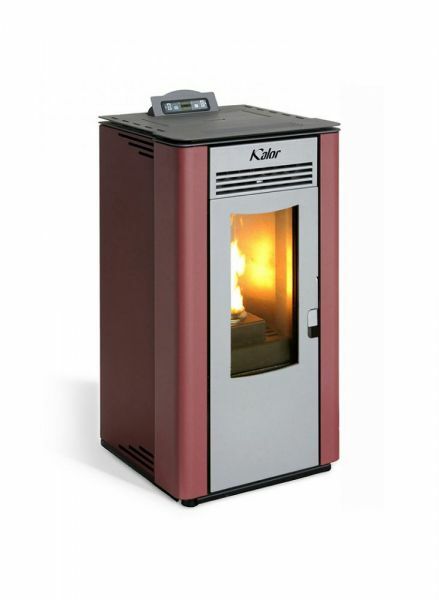 Kalor wood pellet stoves offer the highest efficiencies on the market and offer a huge range of options in terms of power, colours and design. 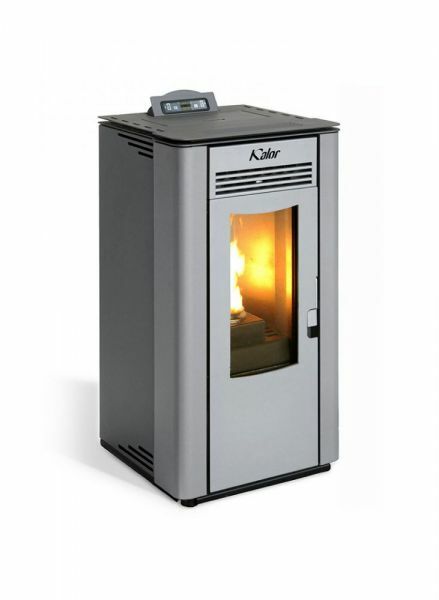 The Kalor Greta 8 is an 8kW Air Stove with stunning, yet simple design that would suit any interior. 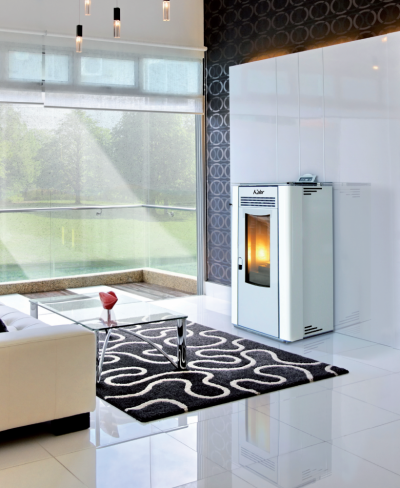 Available in four colours and offering efficiency of almost 93%, the Greta 8 is a superb choice in terms of efficiency, design and value for money. This model is also Wi-Fi enabled, allowing remote operation via a Smartphone App.